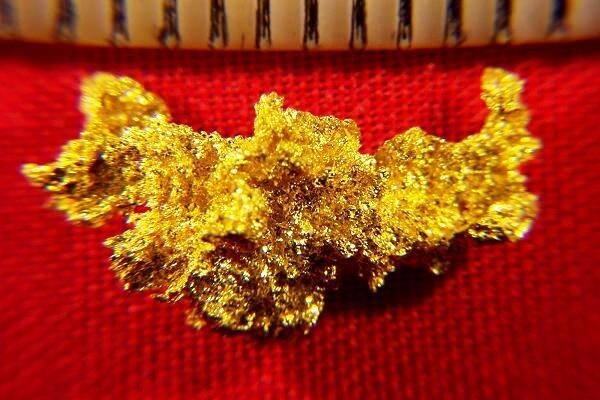 This crystalline gold nugget is from the Mockingbird Mine in Mariposa County, California. It has beautiful color and a nice shape. 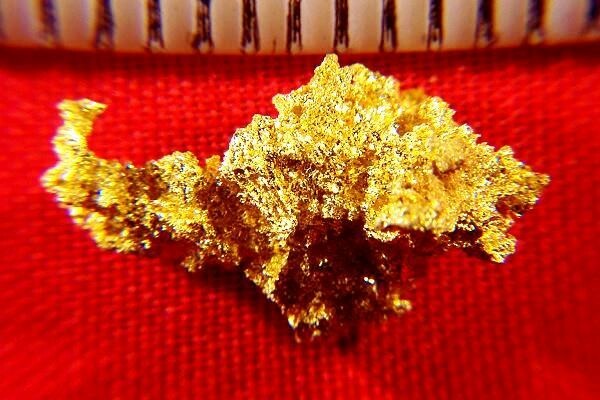 Collectors and investors alike appreciate the rarity and the beauty of these crystalline gold specimens. There are not a lot of these crystalline gold nuggets for sale, so the rarity makes them a great collectors item. The weight of this nugget is 36.7 Grains (2.38 Grams) and the size is 5/8" (16 mm) long.